Day 2 we were scheduled to visit Epcot. 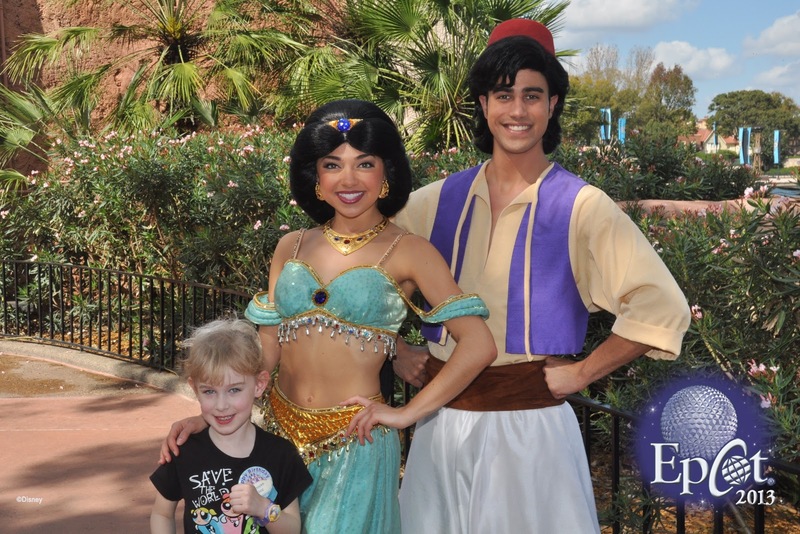 Some of our favorite things at Epcot were meeting Mulan, Jasmine AND Aladdin, Belle, Tigger and Pooh. 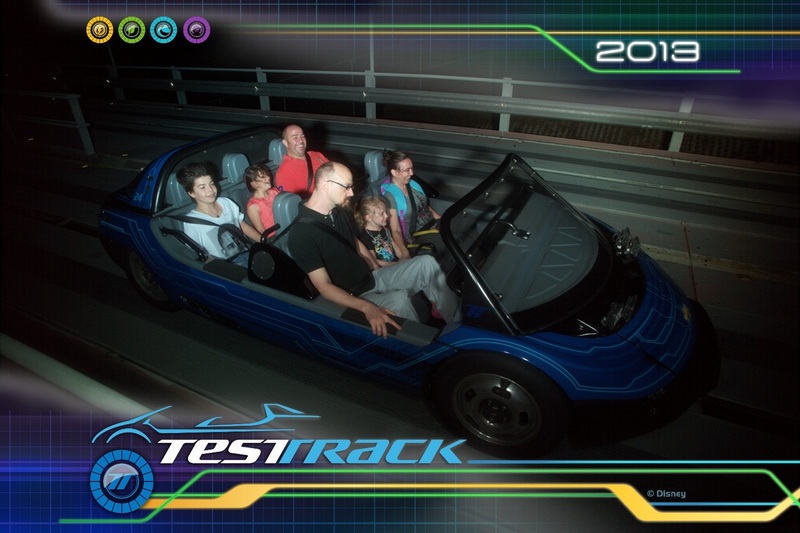 Alice loved the Test Track and Soarin ride, but not so much the Astronaut training at Mission Space. 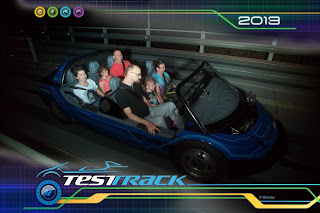 We ate brats in Germany for lunch and had dinner at the Aquarium and capped the evening off riding the Seas with Nemo and Friends, and Spaceship Earth. 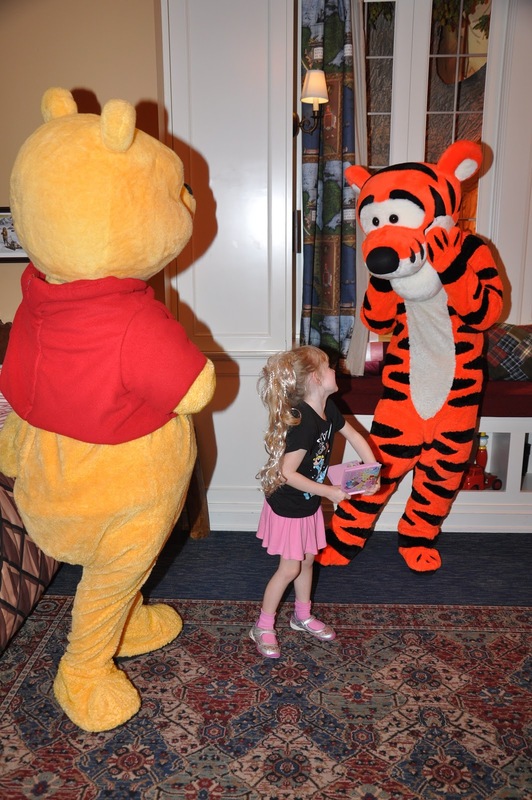 Alice's favorite story to tell about Epcot was when she met Tigger. 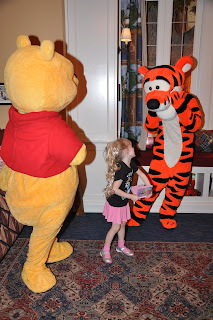 Tigger tried to keep her autograph book and kept hiding it from her. 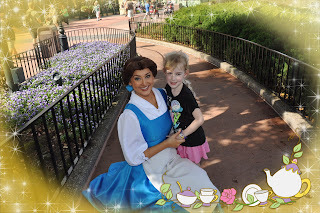 Alice found it twice and then had to 'forcibly' take it from Tigger, all the while the cast member's were telling Tigger he had several autograph books at home and he didn't need hers.